Remove the steering wheel airbag coil. 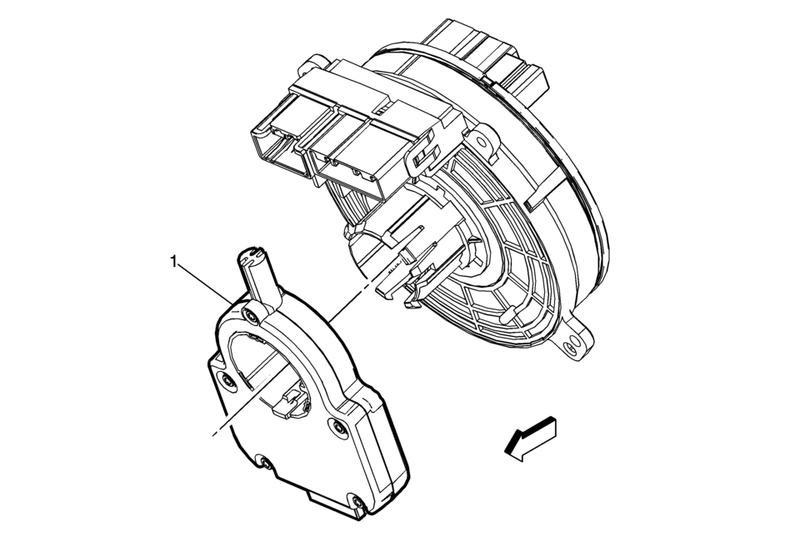 Refer to Steering Wheel Airbag Coil Replacement. Press in the clip on the steering wheel airbag coil in order to remove the steering angle sensor. After the installation is complete, center the steering angle sensor. Refer to Steering Angle Sensor Centering.